Metallica is one of two winners of this year's Polar Music Prize. The honor was started in 1989 by Stig Anderson, manager for ABBA, as a recognition of excellence in the world of music. It is normally given to one popular and one classical musician. Those chosen receive 1 million kr (approximately US$120,000) and is awarded by king Carl XVI Gustaf at a ceremony that will be held on June 14 this year. 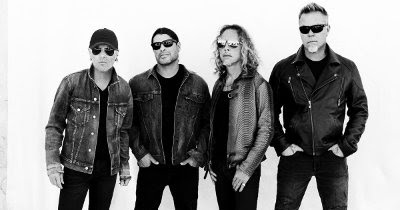 The 2018 Polar Music Prize is awarded to the American band Metallica. Drummer Lars Ulrich said "Receiving the Polar Music Prize is an incredible thing, it puts us in very distinguished company. It’s a great validation of everything that Metallica has done over the last 35 years. At the same time, we feel like we’re in our prime with a lot of good years ahead of us. Thank you very much." Bassist Robert Trujillo: "Receiving the Polar Music Prize is such an honor, especially sharing it with artists such as Joni Mitchell, Keith Jarrett and Wayne Shorter, who I admire dearly. It’s incredible to be recognized and honored in this way, to me, it’s very prestigious. Hopefully this will inspire younger generations of musicians to keep the music alive." Also receiving the honor is the Afghanistan National Institute of Music.